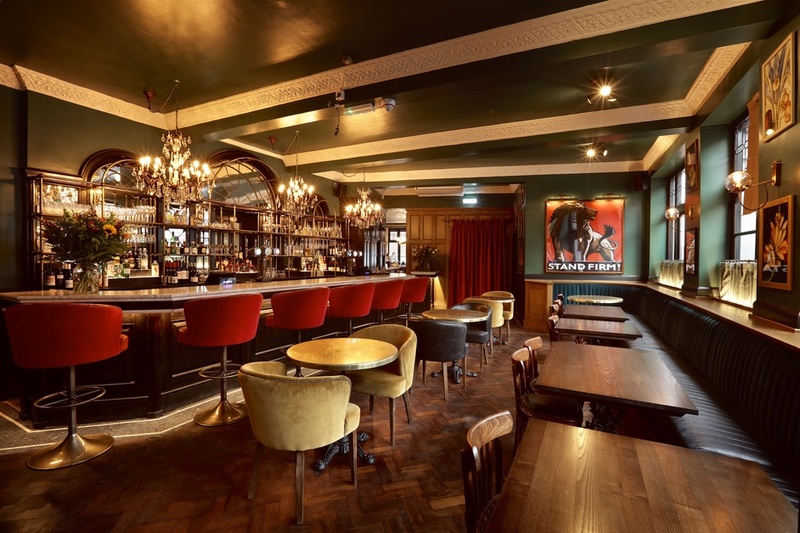 Its worth venturing all the way to Balham for this bar and club an uber-cool hangout with a buzzing, friendly atmosphere. If music is your thing The Bedford is the place to go to catch some live acts completely free of charge with soulful jazz, classic cover, light blues and some great emerging talent. The best bit is polishing off your pint at 11pm on a Friday or Saturday night and, instead of being turfed out onto the street, heading upstairs to the club where you can bop the night away to the Monkeyfunk DJ till 2am. Every Friday and Saturday also sees comedy at The Bedford with , a simple no-nonsense affair featuring consistently good performances. Popular with the likes of Harry Hill, it has emerged as a favourite on the comedy circuit. There's a fabulous little roundhouse setting stashed away at the back of the pub. The audience sit in a mini auditorium around tables, with much hilarity, food and alcohol served throughout. The door policy is first come, first served. It does get busy so we recommend you head down there early, nab a seat, grab a beer and wait to be entertained. It's a hoot. Cabaret Noir's comedy thriller takes the form of an immersive 1930s cabaret performance, during which old scores are settled, gangsters expect pay back and all-American starlets expose their secrets. Community & Lifestyle, Family Event. The Bedford clubs, bars, cabaret nights, casinos and interesting nightlife. What are the best dining options near The Bedford London? The Bedford gyms, sporting activities, health & beauty and fitness. Where to have your meeting, conference, exhibition, private dining or training course near The Bedford. From cheap budget hotels to luxury 5 star hotels see our special offers for The Bedford hotels, including Grange White Hall Hotel London from 55% off.